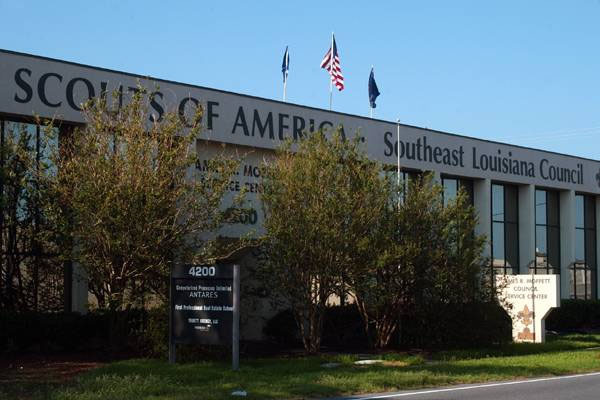 Our Scout Service Center, located in Metairie, is open for Scouting business during normal work day hours 5 days a week. The Center is located in a modern office building that is strategically located in the Council’s territory. The Center is a valuable asset and supports the Council’s mission as well. Take I-10 into New Orleans and get off at I-610 as if you were going to the airport. I-610 will merge back into I-10. Take the Causeway Blvd. South exit and get immediately into the right lane after exiting. Turn right onto the Service Road. Follow the Service Road around through 2 traffic lights. The 2nd light will be at Richland Ave. Keep following the Service Road and you will see the Service Center on the left after you go over the canal. If you pass Houma Blvd., you have gone too far. 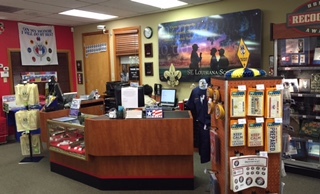 The service center and the Scout Shop are located on the corner of Houma Blvd. and the Service Road at 4200 South I-10 Service Road West. Our Scout Shop is owned and operated by the National organization under an agreement with space leased to them by the SELA trust. Come and visit our NEW council services suite. 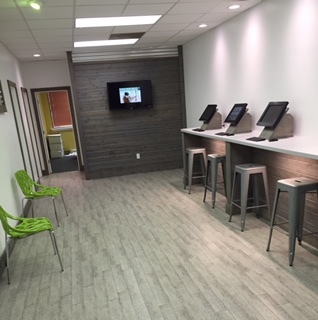 This newly renovated suite will allow us to provide assistance to volunteers and parents with event registration, camp site registration, membership registration, training records, advancement records and any other Scouting information that will make your Scouting experience more effective. This New space will allow the end user access the internet with access terminals or their own devices via wi-fi capabilities. This multi-use area is also available for small training sessions and a place to meet other volunteers.